Hi guys. This is my first post. I've been looking for an Avid for awhile, but I'm a complete newbie . I've found an mk iv project for 5k . 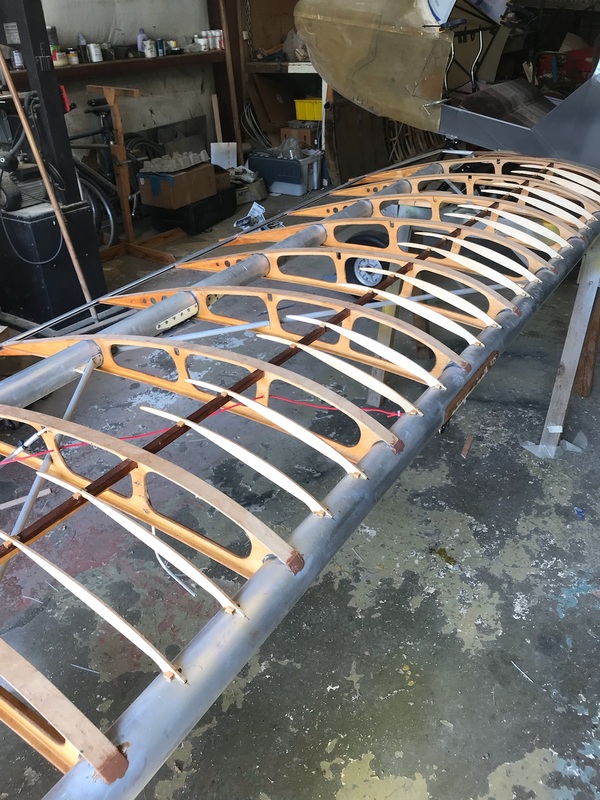 Its had a lot of the work completed, fuselage is covered, wings just need to be covered. He says it's a complete kit except for the tail wheel, engine, and a few other things. It's 700 miles away and if I go, I want to be pretty certain I'm bringing it home. What are the specific deal breakers I need to look for? I've got several pics, but I'm not allowed to upload them for some reason. Nice name Brycekat .My son is named Bryce. it'sin Kansas . I just switched from an iPhone to an Android. I think I got a few pics to load up on here. That does look pretty good. Good name for your son, it’ll help him develop thick skin! How bout flapperons and enginemount? No engine mount, I'm not sure about the flaperons. more like 1100---have the details somewhere. Anyway....some work for you ---tee hee heee. Does it have the Taildragger gear legs with the step? 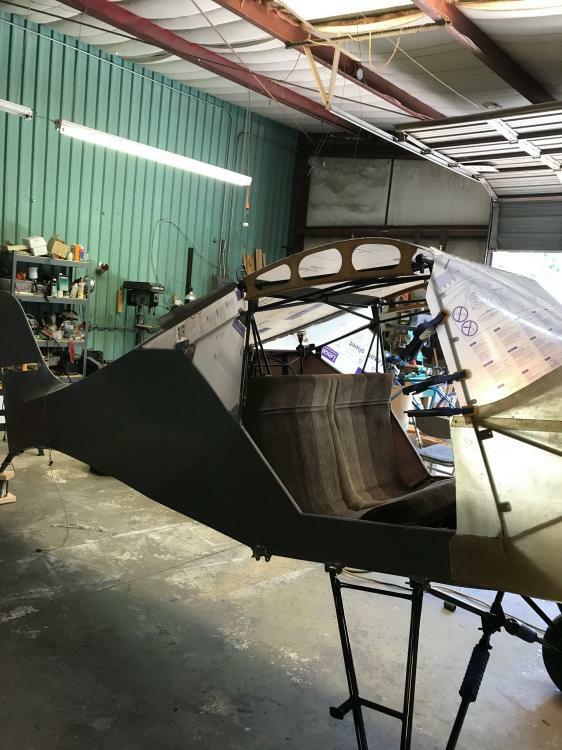 Does it have a 1/1/2" Tailspring necked down to take a MAULE Tailwheel? Does it have Elevator with inset trim Tab? Does it have Round Rudder? Does it have a baggage locker? Does it have Gas strut fixings just behind left shoulder in fuse frame? "quarterlight window" one gusset is Seat Belt Anchor point. Does it have Fiberglass seat? Does it have Spring Loaded Door latches? to inside of rear door post? Are ends of Wing Carry thru tubes welded closed? Go from Fuse to Fin Spar. Thanks nlappos. You're not hijacking anything jimchuk, you're possibly going to be one of my favorite people in the future . I talked to the seller again. The serial number is 1293d, and the invoice is dated '93. He said he thinks it is a heavy hauler. Is the gauge of the wing tubing the only difference in a heavy hauler? It also has the wing storage compartment. I'm working out the details of how he wants the deposit. FWIW, if the previous work is of good quality and kit components complete it looks like a good deal to me. That's a lot of work checked off the build list already. I posted the Mk-IV factory pull sheets for my s/n1127D HH TD in the Avid Mk-IV forum which you can use to confirm that all the kit parts are there. I'm headed out to Wichita tomorrow to pick it up. Thanks for the advice guys. If you decide to install a Jabiru engine you will have to extend the cowling forward a bit. Not a big deal. 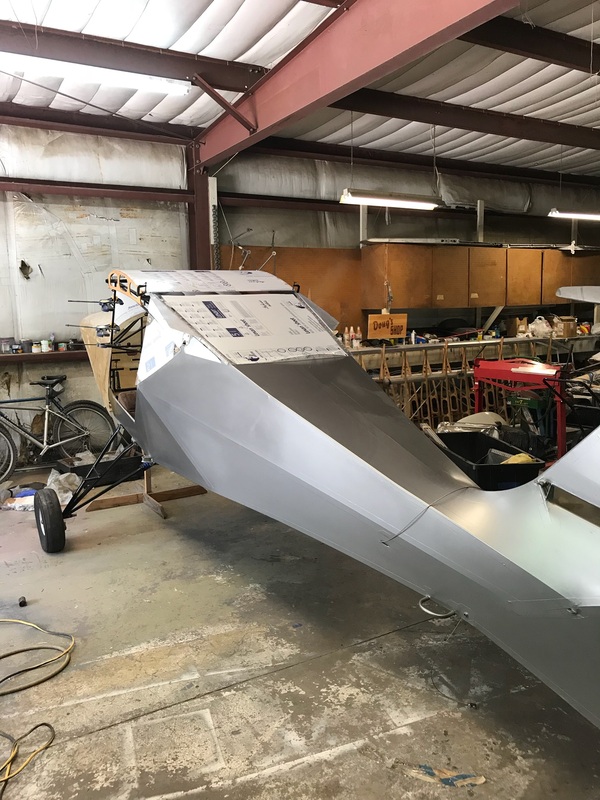 If you decide on a Rotax 912 the cowl will be packed with everything that has to go with that engine, i.e., water hoses, Oil sump, water radiator, etc. I owned S/N 1292 if I remember correctly and it was definitely a "D" MKIV. So it sounds like that is what you are looking at. I flew mine for 1250 hours. IMHO 5K sounds like a great deal and I would go with a 912 install with all the hoses etc. You will have a real keeper of a plane when UR done. The Jab is a nice engine but I have no experience with them. The 912 can swing a bigger prop and if you install a 100 HP version or an 80 HP with 105 zipper, it will REALLY rip! The 912 is installed without cowl mods except for a hole cut for airflow to radiator and oil cooler. I'm going to try to carry on the torch Chris. I plan to put the Yamaha Apex engine in it. I just paid for the engine two days ago. Did you fly it with a 582 Chris? I can't complete a thought and form an intelligent sounding sentence. My MKIV had a 582. I had two 582's. One on the plane and one in the garage at home, so I always had one ready to go when it was time for maintenance to minimize down time. I never had a serious problem with either of my 582's in flight and I flew that plane all over the place including over the continental divide a couple of times and many trips over the Cascades. I did discover a main bearing problem once while turning the prop over routinely. It could have become a major problem if I hadn't discovered it the way I did. And one other time a friend was helping me with one of my many engine swaps and somehow between the two of us the spark plugs got installed and caps safety wired but did not get torqued. I had just landed on a long deserted dirt road and was taking back off when one of the plugs fell out. luckily I was able to just land straight ahead on the road. My point to this is that I found the 582 to be very reliable when properly maintained and did not worry about where I flew it. I've got a 582 blue head on a powered parachute and 503s on two other ones. They're good engines, just expensive and some work like you said. I've got a Yamaha street bike and it just runs trouble free year after year, that dependability is why I decided to go with the Apex instead of a 912. I wondered about the small offset in my model C's fin. It's to the right, ostensibly to counter the P- factor of a left-turning prop. I presume the AOA at which this was set is that of taxiing with the original taildragger gear, but with so many possible LG variations, along with the possibility of using other engines, some driving right-turning props, and different prop diameters to boot, it makes sense that this offset was discontinued in the Mark 4. There's plenty of rudder authority in any case. Still, I'd advise putting the stiffer tailwheel spring on the side of the downward-moving blade, as this side will be where the center-of-thrust is while taxiing with the TW configuration. By the way, the use of different stiffness springs on different sides of the tailwheel is a way to eliminate shimmy, as the two sides would have different resonant frequencies. But y'all likely already knew that. I have found tailwheel shimmy to come from two sources 1) larger tail wheels whose mass moves resonant frequency down to where it can be excited and 2) once in that situation, inadequate resistive damping in the back and forth movement of the wheel. Anything else you do whether it be changing casor angle, tire pressure, asymmetrical springs, stiffer springs, looser springs, more tailwheel weight, less tailwheel weight....anything, only moves the resonant frequency around a bit and the system still can/will shimmy under the right conditions. 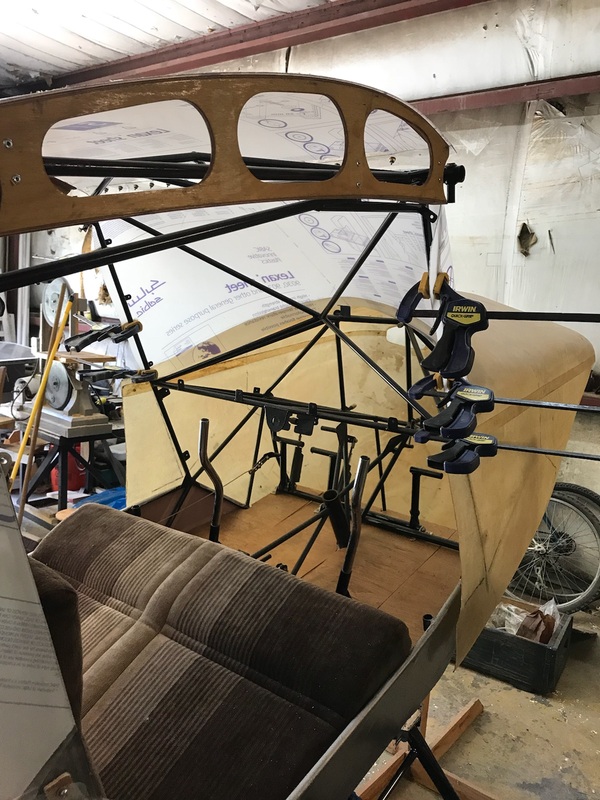 Adequate resistive damping is the only truly effective means to eliminate tailwheel shimmy from my experience...which along with $4.75 will buy you coffee at Starbucks!